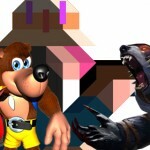 Innovation is something that a lot of game developers may well aspire to, but are often scared to reach for. The risk-reward balance in the games industry isn’t very favourable and too many exciting new studios have suffered from poor sales after trying to innovate. 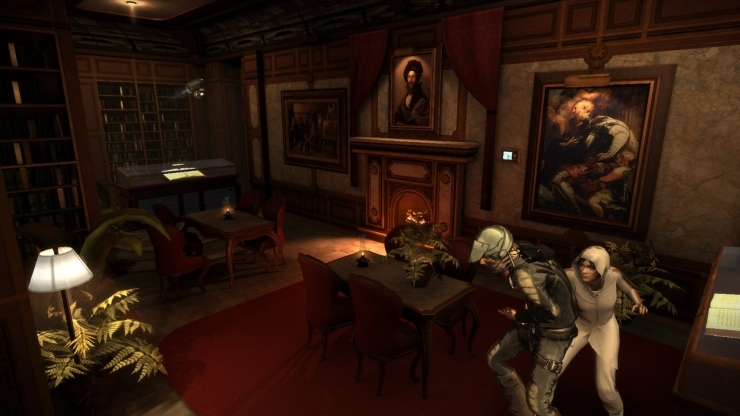 Through the magic of Kickstarter, Camouflaj have taken up the challenge however, and despite its shortcomings République manages to carve out its own gaming genre and plays unlike any other game on the market. 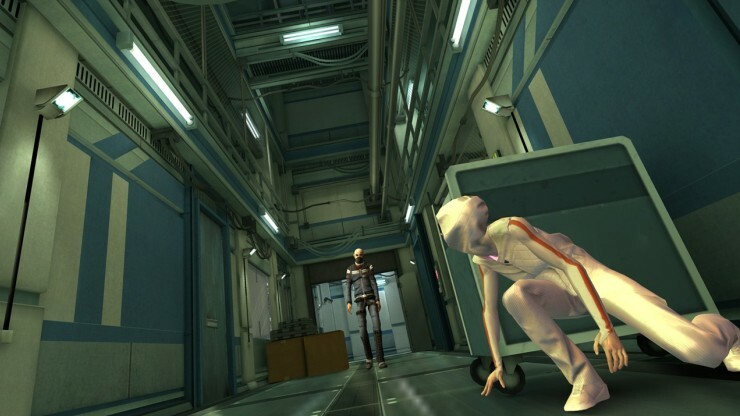 Formed by a team of ex-Konami developers – many of whom cut their teeth on the Metal Gear Solid series – République manages to blend MGS-style stealth gameplay with Resident Evil resource management and an indirect CCTV control system. 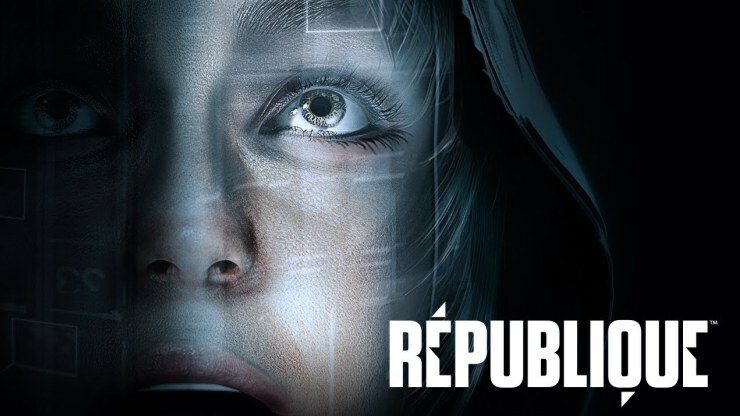 Originally split into five separate chapters, but presented as a whole in the remastered version, République places players in Metamorphosis, a secure facility within an unnamed Orwellian state where the mysterious Headmaster rules with an iron fist. Under the auspices of protection, the Headmaster and his Prizrak security force rule over the Pre-Cals (the general population), whilst trying to take away their freedom of expression and perform a series of strange experiments on them. The leader of rebellious thought, Daniel Zager, has been captured and killed, and with him the optimism for change. The action focuses on Hope a Pre-Cals who uses her smuggled phone to reach out to someone who will answer her – to help her escape the prison that is Metamorphosis. That someone is you. The real innovation of Republique is that you don’t control an avatar, rather you are the unseen hacker who has answered Hope’s call. Taking control of the myriad security cameras spread through every inch of the facility, you monitor the action and aid her escape. The interface you used for controlling cameras, breaking locks and hacking computer terminals is called OMNI view. Through this mode, you must monitor the patrols of guards and lead Hope to safety, while also gathering clues as to the truth behind Metamorphosis. Updating the OMNI view software throughout is essential, as different abilities can be unlocked allowing you to track enemies, hack into answerphone messages or email accounts and more. This will in turn gain you access to invaluable information that lets you gain access to previously inaccessible locations. But you don’t only control the cameras; you also direct Hope from the comfort of your seat – telling her where to hide and advance as you track a safe course through each room. Covering behind crates and crouching behind statues is the order of the day as you need to avoid the patrol routes and vision of the Prizrak. Luckily, Hope has a decent level of AI, so if you are a little slow to switch cameras she will automatically duck around corners to avoid detection. While she doesn’t make use of weapons as such, and your captors always seem more heavily protected, Hope can find and use a series of defensive items such as pepper spray and tasers. When equipped these act more like last-chance saviours – automatically being used if a Guard tries to grab you. This is almost like giving you a second-chance at all times, but supplies are scarce and limited, and some guards later in the game have armour that will negate their effects. Wise management of your defensive resources is therefore necessary; knowing when to fight and when to flee is very important. You will find yourself repeatedly sneaking past guards and employing the same distraction techniques in most locations however, so perhaps there could have been a bit more variety in the gadgets you can hack and the weapons at your disposal. Playing as an outsider in the world of République, the title really needs to work to pull you into its world, and it does this through many of the collectable items scattered throughout. You can collect inflammatory banned books, such as Brave New World and 1984, or read newspapers detailing some of the major events in République and the propaganda behind them. Every item you find adds another piece to the puzzle of intrigue that has been built up, and it is the mystery that will keep you moving forward, to discover what is really going on. That isn’t to say that there is nothing but doom and gloom on offer. You are aided along your way by Cooper, a sympathetic Prizrak guard who communicates with you via Stephen Hawking-like text to speech, and extols the virtues of his favourite video games to you as you go. He is also the only character who provides any sarcastic or witty lines at all – lightening the mood with some truly funny moments, but also somewhat breaking the tone of the rest of proceedings. Pick-pocketing a floppy disc for indie games such as Gone Home, and listening to his positive review of it, can break the seriousness of the situation, even if it is a nice nod to other successfully Kickstarted titles. 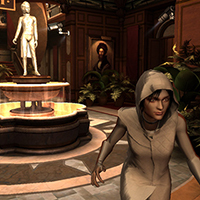 République started life as a touchscreen-only release, and the loss of touch controls for the PC version has produced both positive and negative results. Touch controls really did lend themselves perfectly to the CCTV-based gameplay, with simple swipes panning the view and quick taps unlocking doors. Conversely, on the touchscreen it was easy to tap accidentally and cause Hope to walk out of cover, when all you really wanted to do was to pan the camera view. This could become quickly irritating, so by assigning the movement of Hope to the mouse and the CCTV to the keyboard only. This separation of control allows for a more precise and less error-strewn experience. 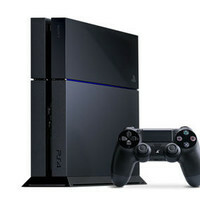 Also, for this PC-based Remastered edition, the graphics have been overhauled and upscaled for more powerful machines. It may not boast the most beautiful visuals by any stretch of the imagination, but there is a clear improvement in this upgrade which is the first commercially available release to use the Unity 5 graphics engine. The fully motion-captured facial expressions have never looked better, adding a lot of emotion to important moments of the story. And by moving from Unity 4 to Unity 5, Camouflaj can implement new reflection effects, physically based shading and real-time lighting – all of which help to create a more realistic and atmospheric world to play through. 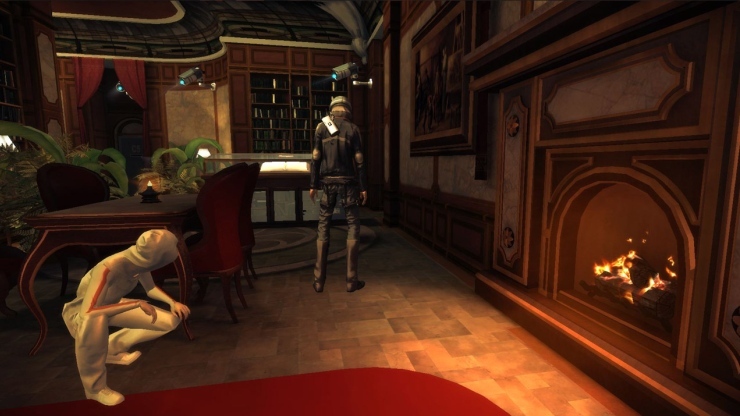 Although the “Big Brother is watching you” atmosphere may have suffered slightly as République moved from a portable touchscreen to a traditional PC experience, the overall package is still a full and unique one. Some of the gameplay elements sadly become a little repetitive, but each episode in manages to maintain its own distinct flavour through the use of pacing, puzzles and dramatic plot developments. 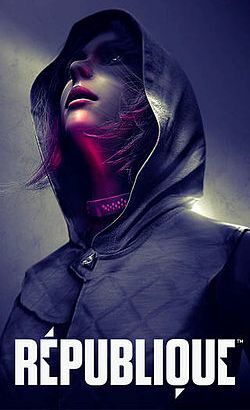 The development team should be commended for sticking to their vision, as République’s different gameplay elements are deftly blended with an engrossing mystery to keep you guessing and wanting more. 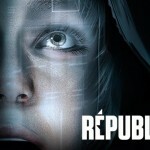 You won't play anything quite like Republique anytime soon, and its deep storyline is worth taking the time to dig into.